Carter Caves State Resort Park will present a weekend of outdoor adventure with its ninth annual Winter Adventure Weekend Jan. 25-28, 2018. Guests will be able to enjoy hiking, paddling trips, recreational tree climbing, cave tours including wild cave trips, winter survival, rappelling, ice climbing a zip line and other adventures. All participants must register online at this site. New trips added for this year's event include a beginner and advanced mountain biking, canoe camping 101, the Hot Chocolate 5K, a girls only caving adventure, and many others. The weekend will start with programs and workshops on Thursday afternoon. Evening programs and entertainment each night includes a presentation on Thru-Hiking the Buckeye Trail Thursday night. On Friday night, 10 Days, 5 Volcanoes, Trek to 1,700 Feet: Keynote presentation by Colin Gatland. On Saturday night, there will be a silent and live auction by the Friends of Carter Caves, a squeezebox competition and Kentucky’s own Heath & Molly will perform. Participants will be able to submit photos in the W.A.W. Photo Salon competition. Categories include winter adventure, caving and local nature-adventure photos. The images will be shown during the Saturday night program, and winners will be awarded ribbons. The Garden Club of Kentucky will dedicate two more Monarch butterfly waystations at the William Whitley House State Historic Site and Carter Caves State Resort Park in September. 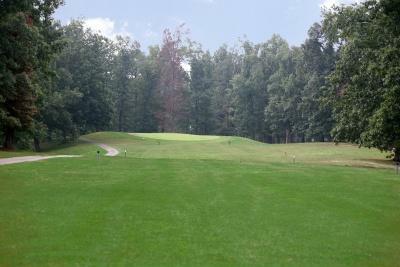 Kentucky State Parks announced today that it will look at alternative recreational uses for the 9-hole golf courses at Carter Caves State Resort Park and Kincaid Lake State Park. The parks previously sought proposals for private businesses to manage the golf courses, but did not receive any responses. As a result, the course at Carter Caves will close permanently April 2. The course at Kincaid Lake will remain open through Oct. 31, 2017.